Your Cmax can now use the Tesla designation chargers with the above adapter. This one: can find on amazon and the below link. Retail is $229. Is it worth the price? That depends on many factors as this is just another way to use a level 2 charger. http://www.umc-j1772.com/ is also a correct link. If free supercharging is tied to the owner and not the vehicle, then I could see this making sense/cents for a PHEV. $229 would be alot, not worth it might take a lifetime of using it and not even regain back the costs of it. I mean you save 1 dollar per charge, and to be at tesla chargers for 229 times might be alot since there are other J1772 options out there. These aren't for DC charging. Most Teslas are charged with 240V AC, just like our cars. The only real difference is the connector in the U.S. True dat. I was just thinking of traveling when most folks would encounter a supercharger station along a highway. My real point is free supercharging is, indeed, tied to the vehicle not the owner so free rates couldn't be used on the C-max or any other vehicle anyways. Tesla has phased out free supercharging on most of its new vehicles (occasional lifting of the ban when they want to increase sales). I thinking they charge a fairly reasonable rate of .22cent/kwh so much better than most public pay charging options. Interesting. I also have a Focus Electric with DC charge port. I presume this adapter would work on that car as Level 2 service? Does anyone know if this company makes an adapter to allow DC fast charging at a Tesla station for the Focus? 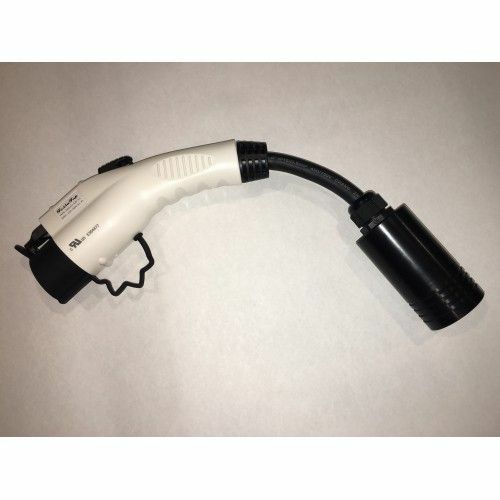 The adaptor works for the Ford Focus Electric as a level 2 charger only.